Sushi is absolutely one of my favorite foods and I've never really thought about photographing the bite-size pieces until now. I did a test shoot at Wasabi 34 last weekend and started with one of their appetizers called Sushi Pizza. 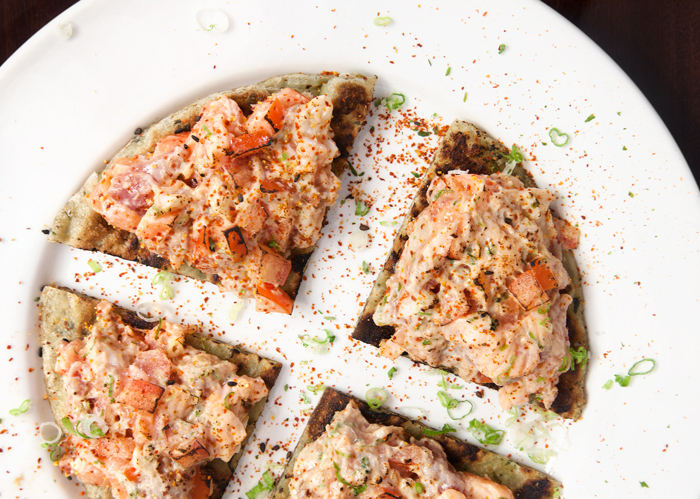 It's basically slices of salmon, white tuna and crab meat blended with mayonnaise, diced tomatoes, and wasabi powder that is served on scallion pancakes.